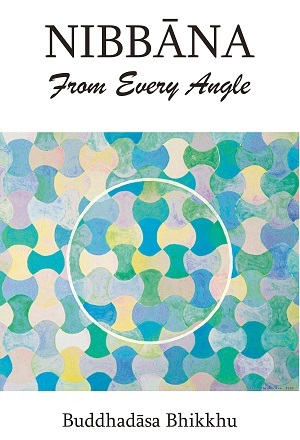 Nibbāna from Every Angle by Buddhadāsa Bhikkhu. Dhamma lecture given on 21 August 2525 (1982) at Suan Mokkhabalārāma. Translated from the Thai by Dhammavidu Bhikkhu. New electronic edition, November 2018. 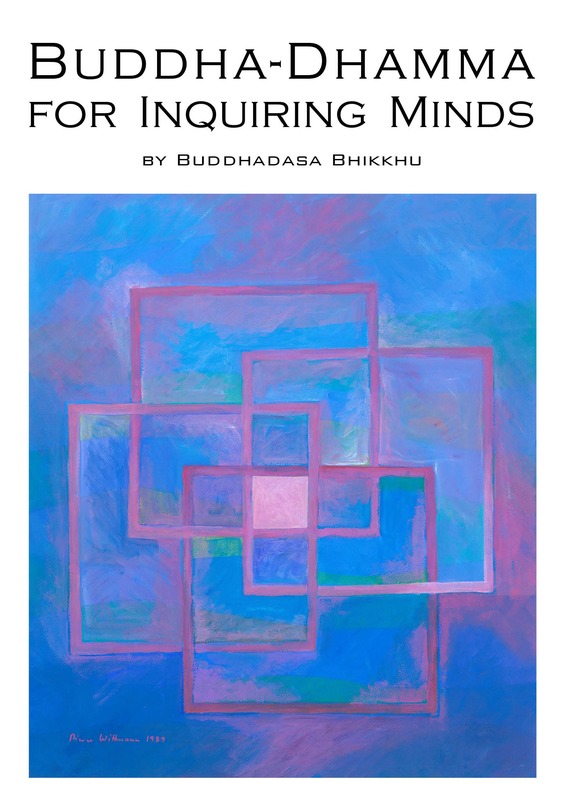 Buddha-dhamma for inquiring minds by Buddhadāsa Bhikkhu [ex. Buddha-Dhamma for Students]. Two talks given in January 1966 to students at Thammasat University, Bangkok. 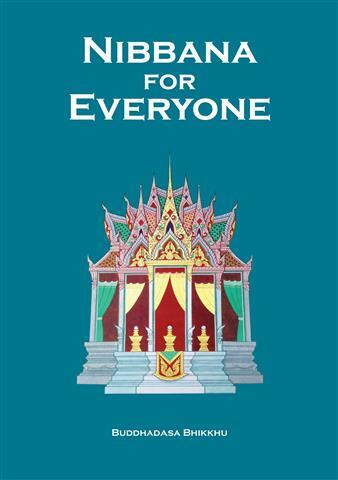 Translated from the Thai by Ariyananda Bhikkhu (Rod Bucknell), revised by Santikaro Upasaka. First electronic edition, October 2018. 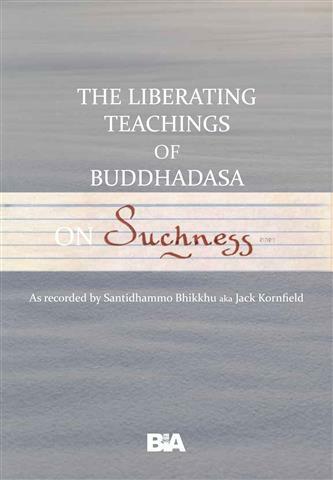 The liberating teachings of Buddhadāsa on suchness as recorded by Santidhammo Bhikkhu aka Jack Kornfield. Handwritten notes of the Dhamma offered orally and in writing by Ajahn Buddhadāsa in 1971. Recorded by Jack Kornfield (then Santidhammo Bhikkhu) at Suan Mokkhabalārāma. First electronic edition, 2017. May we leave this legacy with you – Section I: Legacies in the context of material and ceremonial matters by Buddhadāsa Bhikkhu. Summary of his teachings prepared by Tan Ajahn for a souvenir book on the occasion of his 80th 'Age Teasing Day' on 27th May 2529 (1986). Translated from the Thai by Santikaro. New edition (text & photos), 2017. A single bowl of sauce: Teachings beyond good and evil by Buddhadāsa Bhikkhu. A collection of 12 teachings published on the occasion of Tan Ajahn's 111th anniversary: "Help, Kālāma Sutta, help!," "The Three Wishes," "Exchanging Dhamma while fighting," "The basic nature of human life," "Disadhamma: The meaning of the Six Disas," "Agridhamma: The duty of professional agriculturists," "Buddhadāsa on economics" (interview), "A single bowl of sauce solves all the world's problems," "The world and the Dhamma," "Beyond good and evil" (interview), "Let's All be buddhadāsas," "The Third Wish: To lead the world out of materialism." Translated from the Thai by various translators. First edition, May 2017. 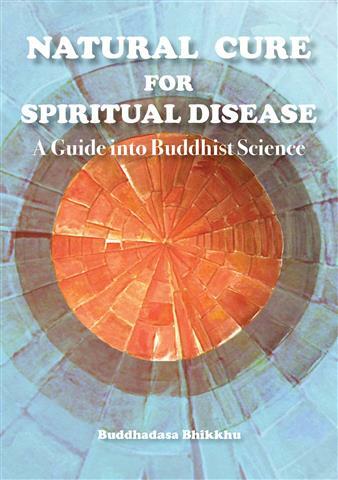 Natural cure for spiritual disease: A guide into Buddhist science by Buddhadāsa Bhikkhu. 3 Dhamma lectures presented to foreign meditators on 3rd, 6th, and 11th February 2529 (1986) at Suan Mokkhabalārāma. Translated from the Thai by Santikaro. 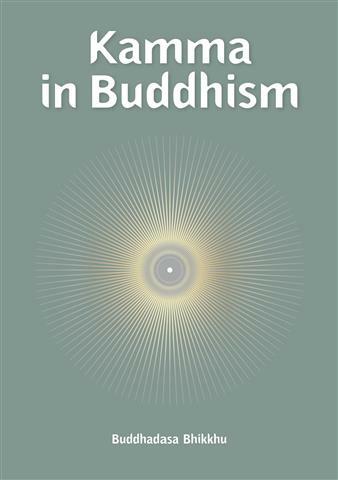 Includes a glossary of terms used by Buddhadāsa. New edition, 2017. 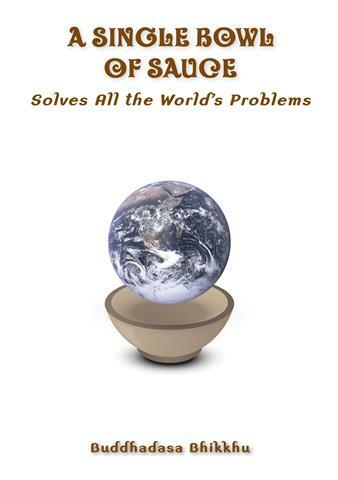 A Single Bowl of Sauce Solves All the World’s Problems by Buddhadāsa Bhikkhu. Messages from Suan Mokkh series #3. A Dhamma article written on 6th April 2531 (1988) at Suan Mokkhabalārāma, Chaiya. Translated from the Thai by Santikaro Bhikkhu. New edition, 2017. Kamma in Buddhism y Buddhadāsa Bhikkhu. Messages from Suan Mokkh series #4. A Dhamma article written on 7th April 2531 (1988) at Suan Mokkhabalārāma, Chaiya. Translated from the Thai by Santikaro Bhikkhu. New edition, 2017. Understanding Dhamma Better in the New Year by Buddhādasa Bhikkhu. A Dhamma lecture presented to foreign meditators on 31st December 2532 (1989) at Suan Mokkhabalārāma. Interpreted live from the Thai by Ajahn Ranjuan. Edited by Sibporn Sihsobhon & other volunteers in 2016. Nibbāna for Everyone by Buddhadāsa Bhikkhu. Messages from Suan Mokkh series #2. A Dhamma article written on 3rd April 2531 (1988) at Suan Mokkhabalārāma, Chaiya. Translated from the Thai by Santikaro Bhikkhu. New edition, 2016. 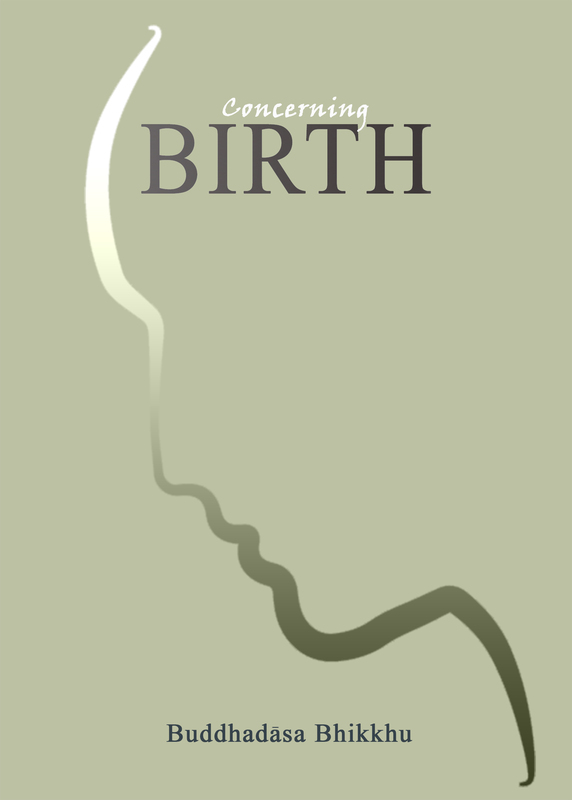 Concerning birth by Buddhadāsa Bhikkhu. Dhamma lecture presented on 7th August 2525 (1982) at Suan Mokkhabalārāma. Translated from the Thai by Dhammavidu Bhikkhu. 'Commonly Misunderstood Buddhist Principles' series #4. Revised by Santikaro Up., 2016. 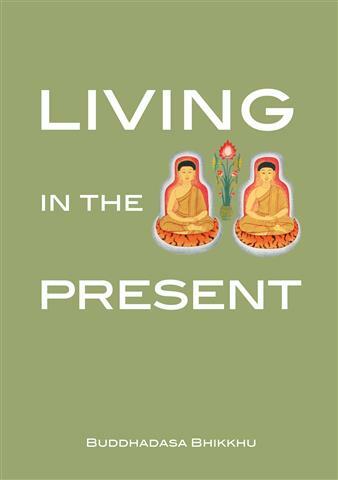 Living in the present without past, without future by Buddhadāsa Bhikkhu. Commonly Misunderstood Buddhist Principles series #3. Dhamma lecture presented on 31st July 2525 (1982) at Suan Mokkhabalārāma. Translated from the Thai by Dhammavidu Bhikkhu. Revised edition, 2016. 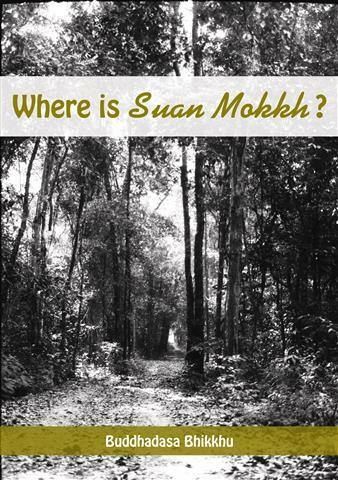 Where is Suan Mokkh? by Buddhadāsa Bhikkhu. A Dhamma talk to monks ordained for the Rains Retreat given on 4th October 2526 (1983). Translated from the Thai by Tanya Brockelman. 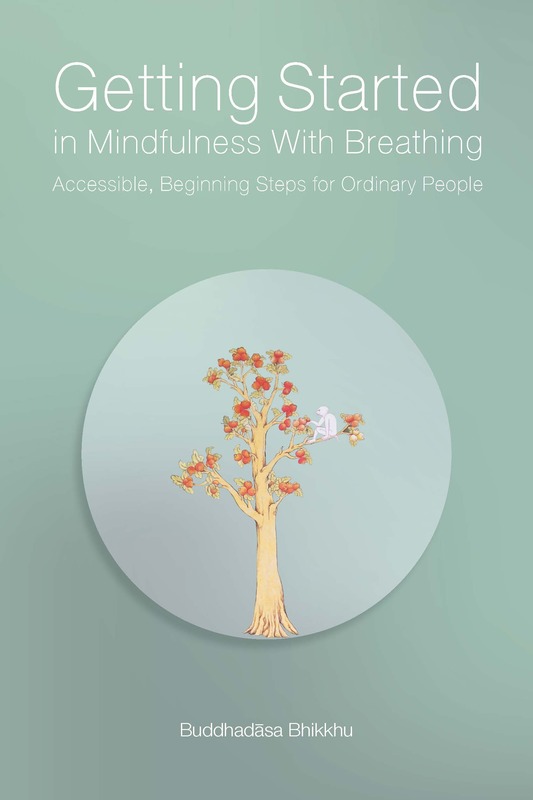 Getting started in mindfulness with breathing: Accessible, beginning steps for ordinary people by Buddhadāsa Bhikkhu. Adapted and translated by Santikaro from an article in Thai written on 28th August 2491 (1948). "Quenching without remainder" by Buddhadāsa Bhikkhu, translated from the Thai by Prieb Bunnag. 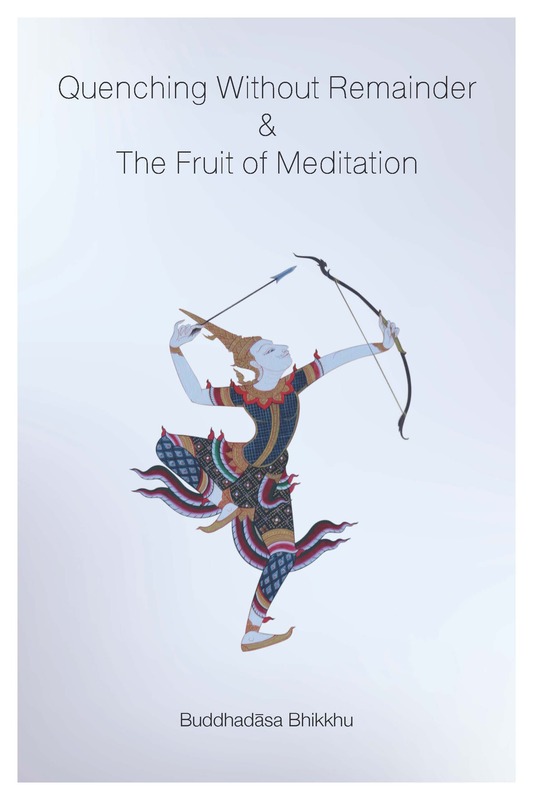 "The fruit of meditation" by Buddhadāsa Bhikkhu, from Towards Buddha-Dhamma, translated from the Thai by Nāgasena Bhikkhu. First published together as Bodhi Leaves, No. 33 by Buddhist Publication Society, Kandy, 1967. 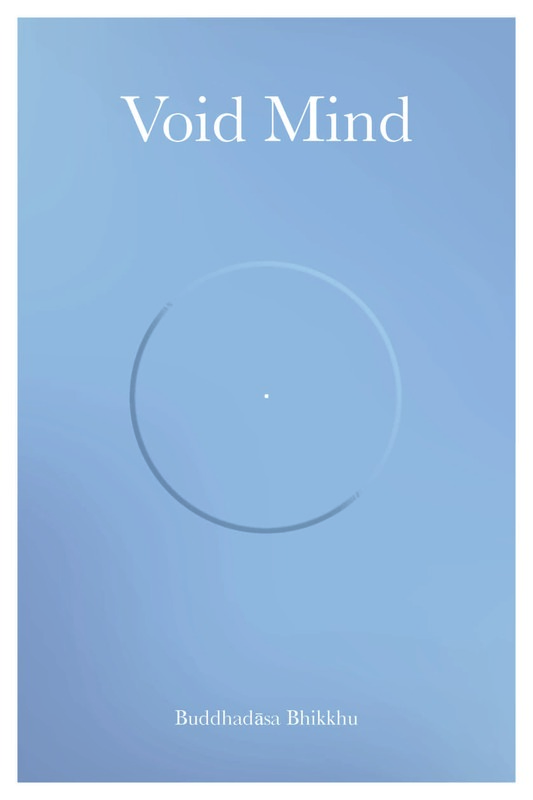 Void mind by Buddhadāsa Bhikkhu. Commonly Misunderstood Buddhist Principles series #2. Two Dhamma lectures presented on 10th & 17th July 2525 (1982) at Suan Mokkhabalārāma. Translated from the Thai by Dhammavidu Bhikkhu. 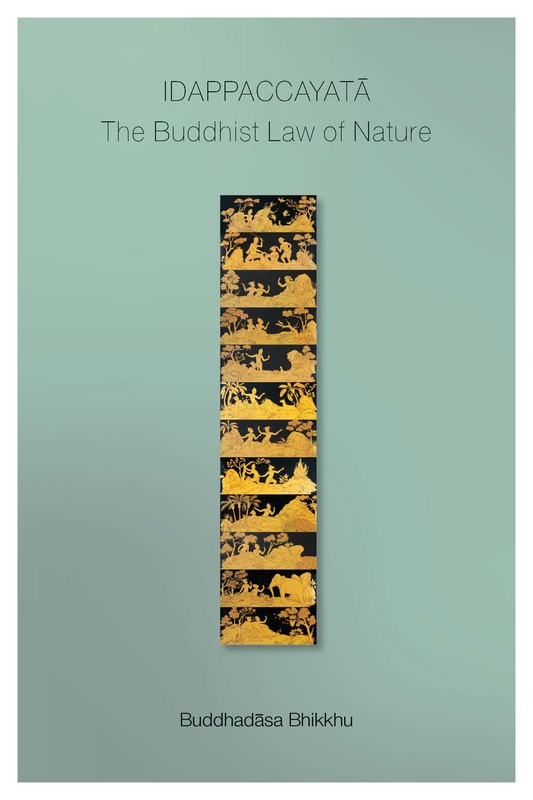 Idappaccayatā: The Buddhist law of nature by Buddhadāsa Bhikkhu. Commonly Misunderstood Buddhist Principles series #1. A Dhamma lecture presented on 3rd July 2525 (1982) at Suan Mokkhabalārāma. Translated from the Thai by Dhammavidu Bhikkhu. 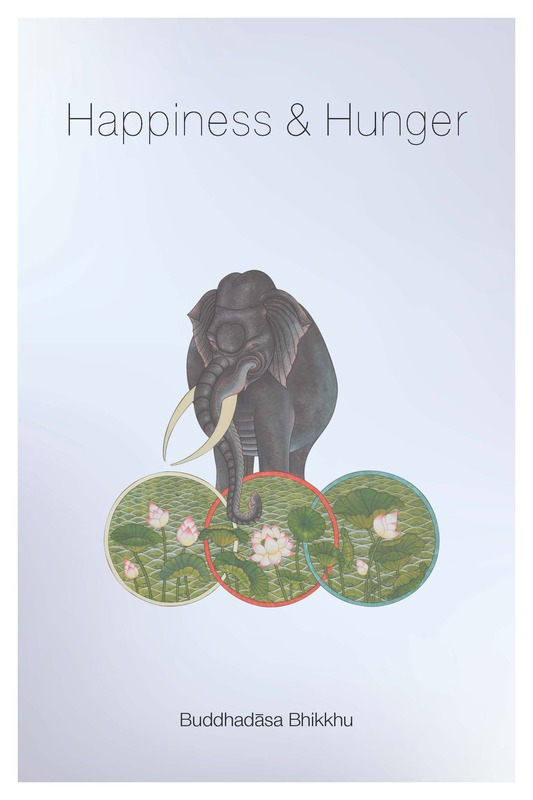 Happiness & hunger by Buddhādasa Bhikkhu. A Dhamma lecture presented to foreign meditators on 7th May 2529 (1986) at Suan Mokkhabalārāma. 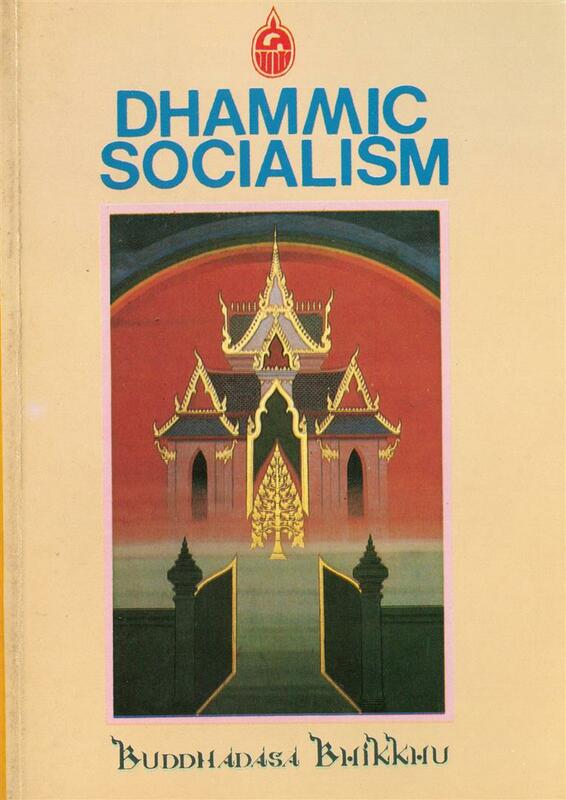 Translated from the Thai by Santikaro & first published in 1988 in Keys to Natural Truth. 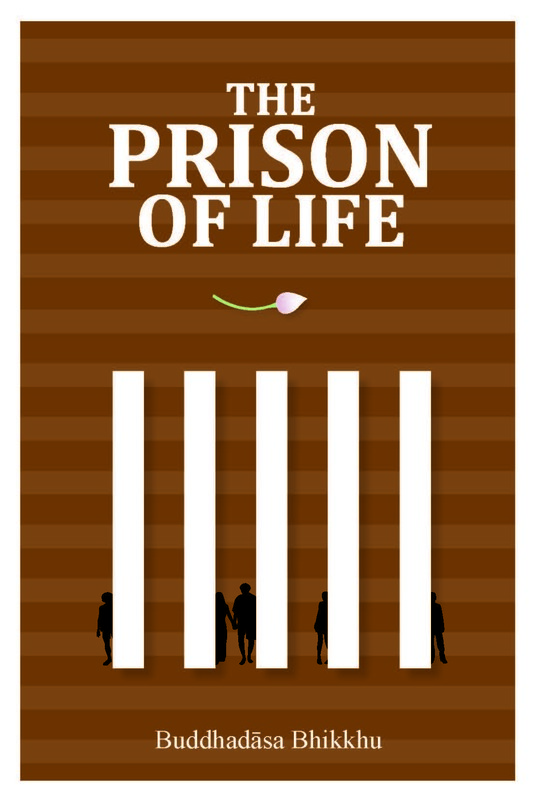 The prison of life by Buddhadāsa Bhikkhu. A Dhamma lecture presented to foreign meditators on 10th February 2531 (1988) at Suan Mokkhabalārāma. Translated from the Thai by Santikaro & first published in 1990 in Evolution/Liberation # 4.